Wondering why should you expand your already established native app to web app? Well, we can guide you to why you need to widen your horizon and how to make it possible. Undoubtedly, the mobile app market is increasing by leaps and bounds. Every founder ought to remember that if you fail to effectively satisfy the needs of your audience, they’ll simply move to your competitors. To grab the eyeballs of your audience in a different marketplace, you have to review your existing goal. Many applications experience 70% of their users stop engaging with the app within three months of its launch. Expanding your native app to the web will make a drastic impact on the user base of your app. A web application is a computer program residing on the server and end user accessing it via web browsers. It serves data based on user’s interaction and offers mobile application like functionality. Why you need a web counterpart for your already running native app? 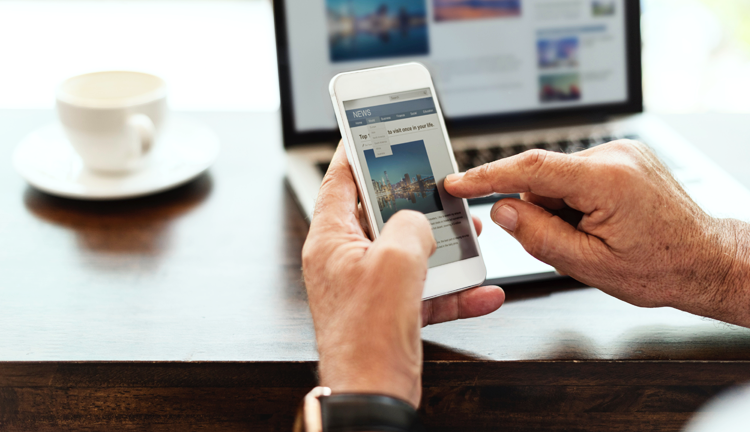 Accessible anywhere: When your iOS and Android native app reaches the saturation point, it is sure that you are missing other potential users. Beneath such circumstances, it witnesses a very low or no progress. In such a scenario, a web application can be a perfect remedy. For example, in 2012 Instagram came up with the web app after popular demand for users who were unable to download the native app due to a bad network. Web applications are accessible anywhere on different devices that make them more user-friendly. Offer better user experience: You can either design your web app similar to the native app or can experiment more. In the web version, you get extra space to add features, more visual elements, and larger content. According to the need of use cases of your web app, decide which traits to remove or modify to offer better user experience. Cost-effective: Development cost is reduced to a single code base. As a single web application can be operated over different OS, it saves a lot of running and maintenance cost. How do web applications work? Web applications utilize server-side scripts to manage the storage & retrieval of information, and client-side scripts to present the information to the users. When the user searches any information on the web browser or the app’s UI, the request is forwarded to the suitable programming web application server. The web application server generates the results of the requested search and sends that to the web server. The web server responds back that processed information to the user. Usually, web apps are simple and quick to develop nevertheless, it depends on your demand. There are still design-specific components to address while integrating a web counterpart. In native apps we faucet or perform different gestures like swipe, pinch or long press to complete our action. On the other hand, a web application works over the browser with mouse clicks. So, while building the web app you have to consider how your potential users going to access. Web apps are mainly utility-based applications that focus on specific tasks. It experiences a longer user session as compared to Native apps. It is important to optimize the web app and make it responsive to adjust the website elements depending on the device screen. Expanding the native app needs you to check the backend architecture and security for a top-notch web app user experience. If you have sorted the backend architecture for your native app, you need to analyze the impact of app development on the present resources. Web app comes with its own challenges for backend support. You need to decide on creating, storing any new records, ensure encryption & security and deal with the server load to scale your resources. SSL certificates will make your web traffic secure. Make an effort to identify and fix as many vulnerabilities as possible during the development stage. Even during the financial transaction, it is significant to keep up the same level of security. Following all the payment services’ protocols, you can be ensured an all-around secure transaction. Also, conduct some server load testing to avoid any drawback when it starts onboarding the users. When you are planning to support a large number of browsers, web app development becomes a little harder. Especially for the older browsers as they don’t support new features. Limited ways to promote web apps as there is no access to the app store. Web apps don’t have access to the device built-in features like a camera or GPS. So, these apps have restricted functionalities as compared to native apps. Since the same person can use the application on multiple devices, it is tough to record usage statistics for a single person. Identifying the user’s requirement is one of the most vital practices in app development. You have to rigorously research the targeted capabilities to determine if they are achievable in your web app or not. It’s quite disappointing to find that one or more of your user functions aren’t supported. So, you have to analyze what features could be transferred to the web layer. Remember, it is better to rework solely on the main targeted functionality on the web portal version to make the app work faster. There are also differences in the web-based code for the desktop browser and mobile browser. For instance, the HTML5 <video> tag’s autoplay functionality doesn’t work on mobile browsers. You can face problems with some web API methods on a mobile platform. But an expert web app development team will assist you out. According to a Google survey, 60% of mobile web users say they expect a site to load on their device in 3 seconds or less. Also, for every extra 5 seconds of load time, the traffic dropped by 20%. 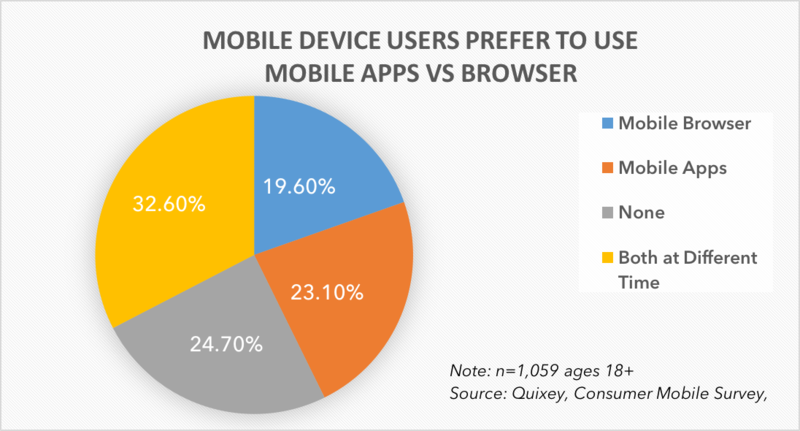 Keeping the user behavior in mind, the necessity of optimizing the web app has inflated. If it is done well, the user experience of web app turns remarkable like a native or hybrid application. Companies like Instagram, Uber, WhatsApp, Telegram expanded their popular native app to the web. They have targeted users with slow mobile network speeds who face trouble in downloading and using the native app. Thus, they have only recreated the main functionalities for the web to help the users. It’s not easy to expand a native app to a web app. Success depends on a number of factors. You have to consider new situations in which your web app could potentially be used. Likewise, you need to keep an eye on the design aspects. All these will ensure a seamless user transition and viable interaction with both apps. If you are feeling saturated with your current native app, adding a web app can prove to be an optimum choice to reach the new users and offer more to the existing users. With all new possibilities to scale your app, web app development is worth for businesses. Need someone to design your web app? We are here to support you. Contact Us!